Turquoise orgone disc has calming effect. It brings love in life. 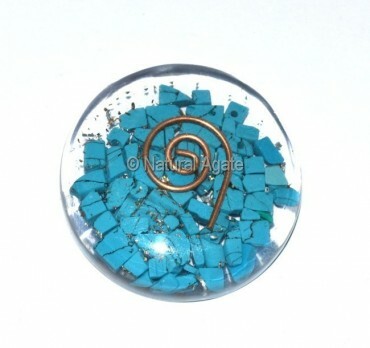 You can get this cabochon from Natural Agate at a fair price.